This is a die-cut Dairy of Merit porcelain sign. This particular Dairy of Merit sign is predominantly blue with white text. 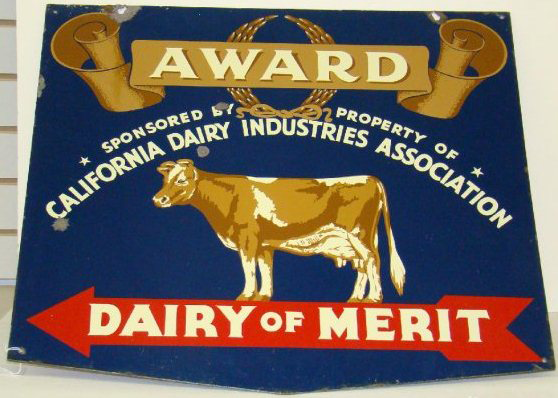 It reads, “Award, Dairy of Merit, Sponsored By Property of California Dairy Industries Association”.